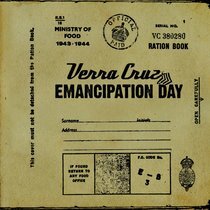 Verra Cruz is a hard rocking British trio originally from St Albans, a small town just north of London. Singer/ guitarist /lap-steel player Marc James formed the band in the late 90s with drummer Jimmy Cooke as an outlet for his growing collection of brilliantly crafted songs. Nick Bright (bass) joined the band in September 2000. Together they are a powerful, tight and passionate live band and have a large and loyal fan base. This full-length debut sees the lads introducing their awesome combination of thrashing guitars, all out rock, fluid rhythm and lyrical intelligence to a new continent! If you like a bit of grunge, these are your guys.